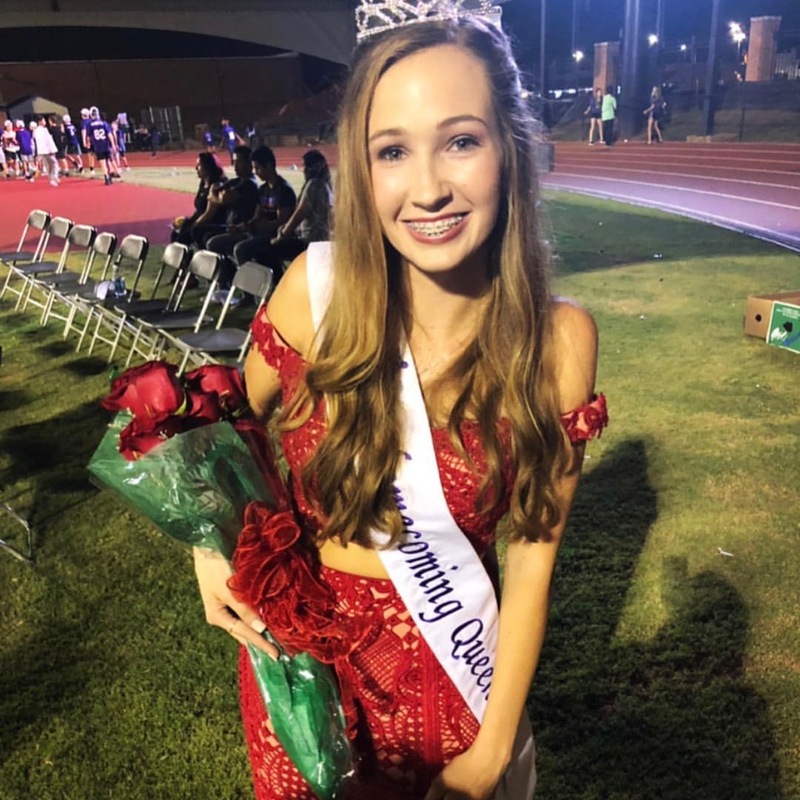 As things begin to settle down for Cartersville’s 18-19 school year, one of the first exciting things to happen is homecoming week. 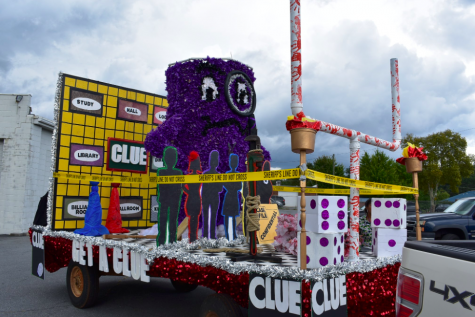 Homecoming week has been a tradition at Cartersville for years and is celebrated in several ways. Every day leading up to the dance, students dress up to show school spirit. Themes include pajama day, country vs. country club, rocker vs. rapper, board game day, and purple and gold spirit day. 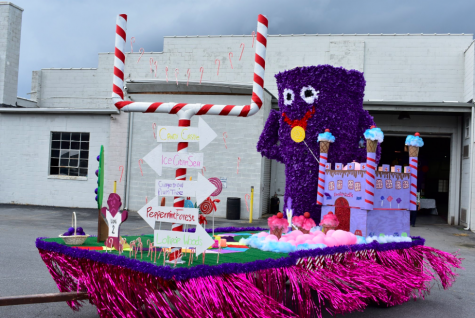 Another tradition of homecoming week is the construction of parade floats followed by the parade held the night before the football game. Float building is always centered around a specific theme where each grade designs their float accordingly. 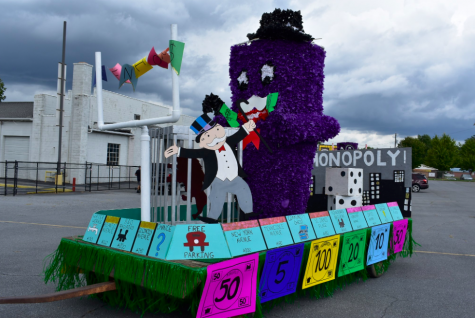 This years theme was game night and the winning float was produced by the junior class. Seniors had Monopoly, juniors had Candyland, sophomores had Clue, and freshmen had Twister. 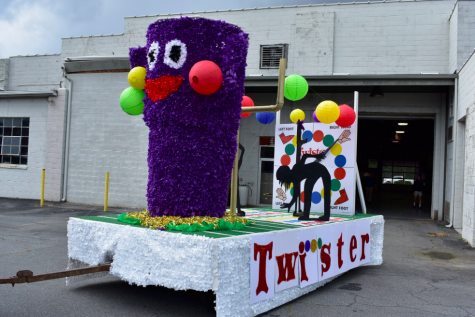 The floats were displayed during the parade on Thursday afternoon. Friday night was the big homecoming game, and this year, the Purple Hurricanes beat the Central Lions, 45-10. At halftime, last year’s homecoming queen, Merritt Vance, crowned the 2018 queen, Vanna Beach; Marcus Gary was crowned king. The rest of the senior court in the running for homecoming queen consisted of Alexandra Sims, Zane Bryant, Caitlyn Stevenson, and Naja Bryant. The nominees for homecoming king consisted of Brant Smith, Kaleb Chatmon, Ian Inaba, and Elian Abeja. Junior court included Zoie Harris, Neely Ledford, and Shreeya Patel. The sophomore court included Briana Kim, Darci Tidwell, and Caroline Wright. The freshmen court consisted of Kate Hacker, Maggie Hewlett, and Maddy Chatmon. The end of the night was marked by the homecoming dance in the storm center.